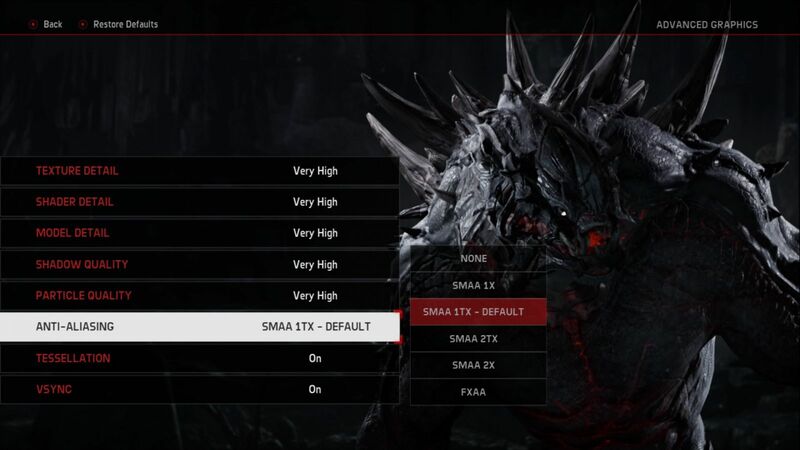 Turtle Rock Studios recently released the PC specs required for EVOLVE and surprisingly they are quite tame, compared to some other recently announced PC game specs. First thing you’ll notice is that both the CPU and memory allocations are pretty damned low, which will help those gamers who don’t constantly upgrade their PC gaming components. Though 64-bit gaming is here too stay, so if you’re still rocking Windows XP or a 32-bit version of Windows 7 then you’re going to have to upgrade that at least. Bonus for me as I won’t have to upgrade the kiddies gaming PC. Turtle Rock Studios also states that you’ll find a host of details that can be adjusted; Texture Detail, Shader Detail, Model Detail, Shadow Quality, Particle Quality, Anti-Aliasing, Tessellation and VSYNC. 4K resolutions will also be supported out of the box (or download) however SLI support will not be and will be added at a later date, so be sure to disable SLI when attempting to play the game for now. EVOLVE will be released for Microsoft Windows, PlayStation 4, and Xbox One on February 10, 2015.